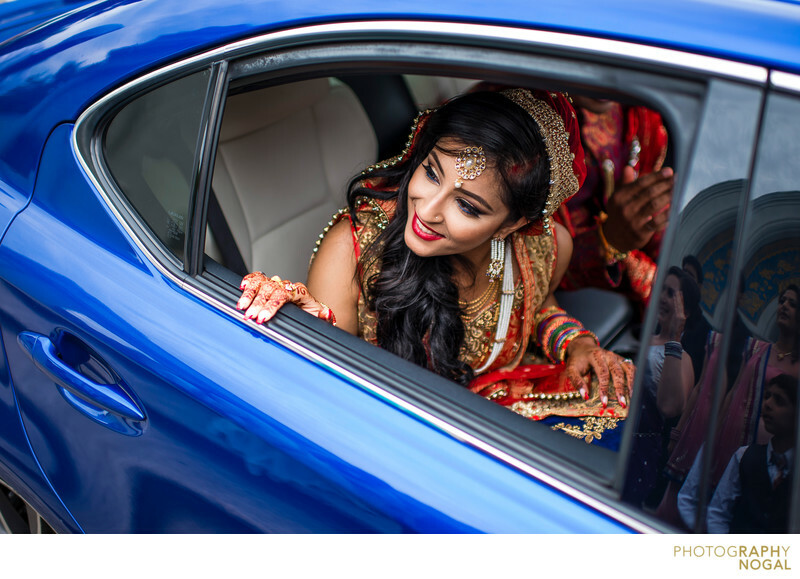 This was a traditional ceremony where the Bride drives with the Groom away from her family to represent her starting a new life with her Groom. The look on the Bride's face really tells the moment which took place at Sunnyside Pavillion in Toronto. Location: 1755 Lake Shore Blvd W, Toronto, ON M6S 5A3.